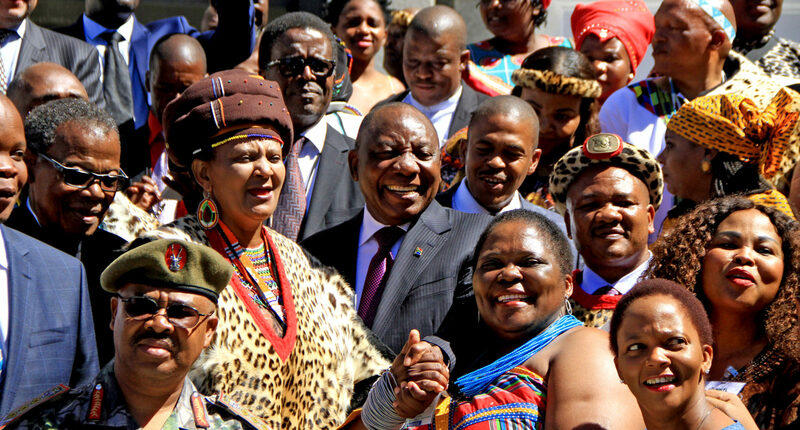 The newest version of the Traditional Courts Bill shows that an ANC majority in the relevant parliamentary committee has leaned towards the side of traditional leadership. The latest draft of the bill, presented by the Department of Justice and Constitutional Development, reflects a series of alarming amendments made on the instruction of the committee. Perhaps we should have seen this coming. Based on the antagonistic tone of the Portfolio Committee on Justice and Correctional Services during public hearings held in March this year, the newest version of the Traditional Courts Bill was likely to be a disappointment. But after 10 years of debate and revision the version presented for consideration at a recent committee meeting was far worse than expected. The bill being considered for adoption by Parliament effectively nullifies many of the hard-won victories reflected in the progressive 2017 version, which accorded broader protections to rural communities and promoted various constitutional rights. Crucial provisions on voluntary affiliation and the right to opt out of the jurisdiction of traditional courts have been removed. The content of the latest bill has regressed to that of its predecessors. The 2008 and 2012 versions of the bill sparked a massive public outcry in the rural areas where they would have created parallel systems separate from the common and statutory law that applies to people living in urban areas. While traditional leaders continued to fight for a system that would make people living in communal areas beholden to them, civil society and other stakeholders demanded that rural people should, at the very least, have the right to choose whether to submit to traditional courts or to insist on their right to use the judicial system introduced by the 1996 Constitution. Now we find that an ANC majority in the committee has ultimately leaned towards the side of traditional leadership. The latest draft of the bill, presented by the Department of Justice and Constitutional Development, reflects a series of alarming amendments made on the instruction of the committee. As it stands the bill will unconditionally impose customary law jurisdiction on rural communities, will lessen the accountability of traditional courts and will remove carefully crafted protections for women and other groups against discrimination. The status, fluidity and consensual nature of customary law, as recognised in numerous Constitutional Court judgments, has been altogether ignored. A 2017 draft of the Traditional Courts Bill would have enabled a person summoned by a traditional court to opt out from proceedings in that court — reflecting the voluntary and consensual principles of customary law. Under pressure from traditional leadership, it would seem, the committee rejected the opinion of parliamentary legal adviser Phumelela Ngema that the removal of the opt-out clause would render the bill unconstitutional. “Who are these voices that we are listening to that are saying we must opt out — who are these minorities that we are listening to that must guide Parliament, not the will of the majority?” Motshekga has been replaced by Vincent Smith, the ANC’s Mister Fixit for troubled parliamentary committees. Motshekga’s claim that a majority support the bill is perplexing, for that so-called minority represents women, sexual and gender non-conforming individuals, persons with albinism, and those who live with mental or physical disabilities. In effect, Motshekga’s “minority” comprises those who have been subjected to injustices and abuses that have persisted within some traditional courts — and outside them. The removal of the opt-out clause means that about 17 million people living in rural communities would be locked into the boundaries of the former Bantustans, which are kept alive through the Traditional Leadership and Governance Framework Act, and would be treated differently to other South Africans. To add insult to injury, the bill also removes clauses requiring measures to promote and protect the fair representation of women as members and participants of traditional courts, and for traditional courts to be monitored in terms of their promotion of gender equality. As the new bill also removes language addressing abuses in traditional courts, it also scraps a schedule that itemised prohibited conduct such as homophobia and discrimination against unmarried persons. According to Motshekga, these components “overload” the bill, and are already dealt with in the Constitution. It is astonishing that the rights of women and vulnerable persons are not addressed — or even considered — by the committee. Further changes to the bill include a ministerial power to determine fees payable to the traditional court. Appeals to higher levels of traditional courts are now included, instead of the escalation of matters to another customary institution. The role of the traditional leader would be to preside over a traditional court, rather than to convene it. The department was instructed by Motshekga to further amend the bill to make traditional courts full courts of law, and “not a cultural thing”. This would transform traditional courts into courts in terms of the Constitution. The ANC majority’s stated goal is to use the bill to correct the wrongs of the past, where systems of English and Roman-Dutch law were imposed on Africans, and to make customary law jurisdiction mandatory. But at what and at whose cost?